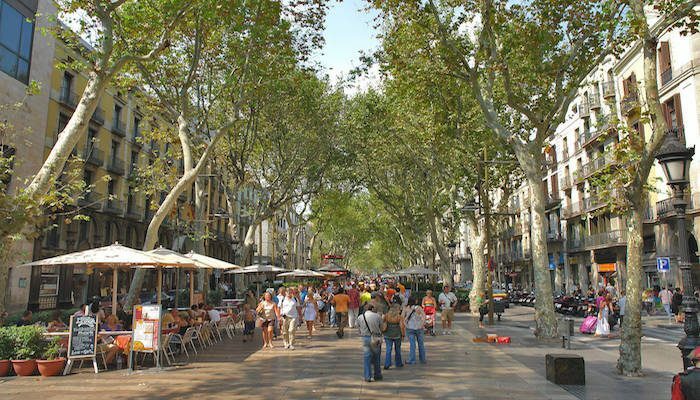 This tree-lined pedestrian mall is a popular visitor destination in Barcelona, stretching for 1.2 km between Plaça de Catalunya and Christopher Columbus Monument at Port Vell. It’s a great spot to run when not too crowded — go early! We’ve put together a route than incorporates La Rambla and some other pedestrian mall-like extensions to make for a great 6 km route. 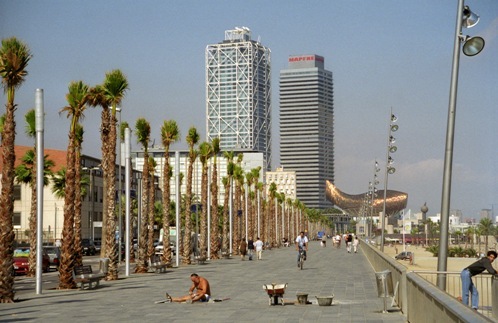 Start at Plaça de Catalunya (or any other point) and head east toward the waterfront, for 1.3 km. 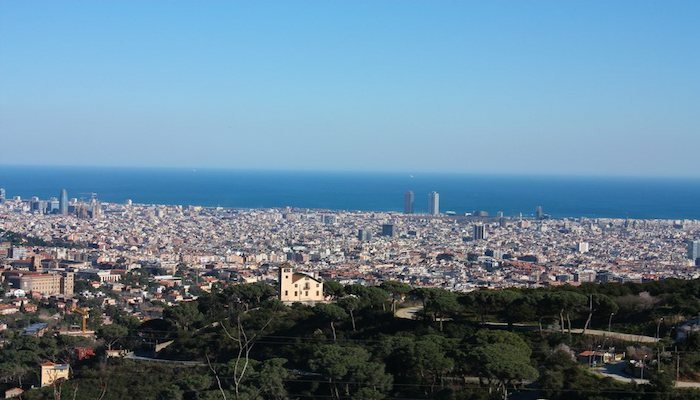 When you reach the Columbus monument, head back to Plaça de Catalunya. For an extra 3k, there’s a nice loop west of Plaça de Catalunya, using Rambla de Catalunya to Av. Diagonal, and then RIGHT on Diagonal, briefly to Passeig de Gràcia, where you’ll turn RIGHT, running along another pedestrian mall, by numerous shops, back to Plaça de Catalunya. Variety/Add-Ons: Instead of a there and back along La Rambla, you can wind your way through the Gothic Quarter just north. Use Carrer de Josep Anselm Clavé, P. de la Pau, through the festive Plaça Reial, back to La Rambla briefly, and then RIGHT at the Miró mosaic onto Carrer del Cardenal Casañas, then along C. Del Pi, passing the Basílica de Santa Maria and a couple of squares, then LEFT on Avinguda del Portal de l’Àngel, which turns into P. Gràcia. Also, at the eastern end of La Rambla, there’s the wonderful waterfront run, heading north from the Columbus monument for up to 7 km. Metro: Catalunya. Many other metro stops in the area.